Battery Dance Company makes its U.K. debut with a program comprising Dancing to Connect workshops and a performance at the Waterfront Belfast. Upon arriving at Belfast International Airport and after explaining the purpose of our visit, we were briefly held-up by immigration officers (who were extremely friendly and nice) as they checked that we had the necessary permits for our performance. Although you do not require a visa to travel for tourism, you do need a visa for commercial purposes, and at the airport 'amateur' means non-profit, and 'professional' means for-profit. Luckily after verifying with our partners and sponsors that our workshops and performance were free of charge, we were allowed to proceed. Be sure to check visa rules prior to your travel to Belfast, to use the correct terminology in reference to your work, and to carry sponsor/partner telephone numbers in-case verfication is necessary. Taxis are relatively cheap but they cannot be hailed from the street. You can only pickup a taxi at either taxi stands, by asking for one at a taxi dispatch office located in the city, or by calling a taxi-dispatch service. If you're travelling to Belfast during a time of very high tension , be sure to have two taxi dispatch service numbers readily available: one for travel to Protestant areas and one for travel to Catholic areas. While taxis are free to operate in any area, they have be used as an easy target for attack in the past, although not recently. Also take note that many Peace Wall gates that allow access between some communities, close at 9pm. Overall, taxis are a very safe and affordable way of getting around the city. Restaurants close relatively early in Belfast. From Monday to Thursday many restaurants in the city center will close by 10pm and on Sunday they can close much earlier, if they are open at all. Just as in other major cities, be sure to make reservations for Friday and Saturday night dinner. Northern Ireland uses the British Pound but has different versions of the currency: one version issued by the Bank of England and other versions issued by Northern Irish banks. While all versions are accepted in Northern Ireland, non-Bank of England notes may not be accepted in other parts of the United Kingdom. In addition, it may be more difficult to exchange non-Bank of England notes once outside of Northern Ireland. Be sure to convert any non-Bank of England notes to Bank of England notes prior to departing Northern Ireland. YouthAction is a charitable organization in Belfast with a 70-year history of working with young people across religious and social divides. YA sourced the participants, who ranged in age from 14 – 19, as well as engaging teacher trainees in their early 20’s. 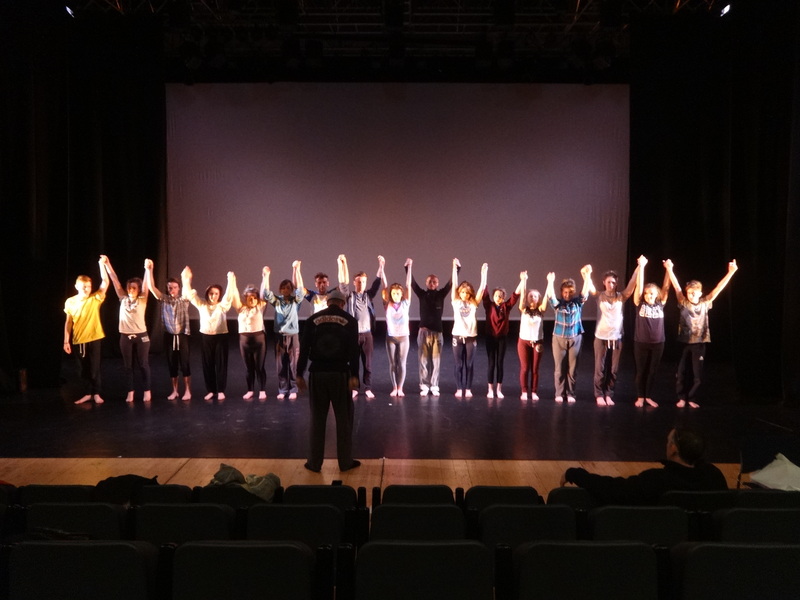 This program was Battery Dance Company’s first in the U.K. and was built on the theme of mutual trust, incorporating students from both Catholic and Protestant communities which suffused the choreography created by the participants themselves. 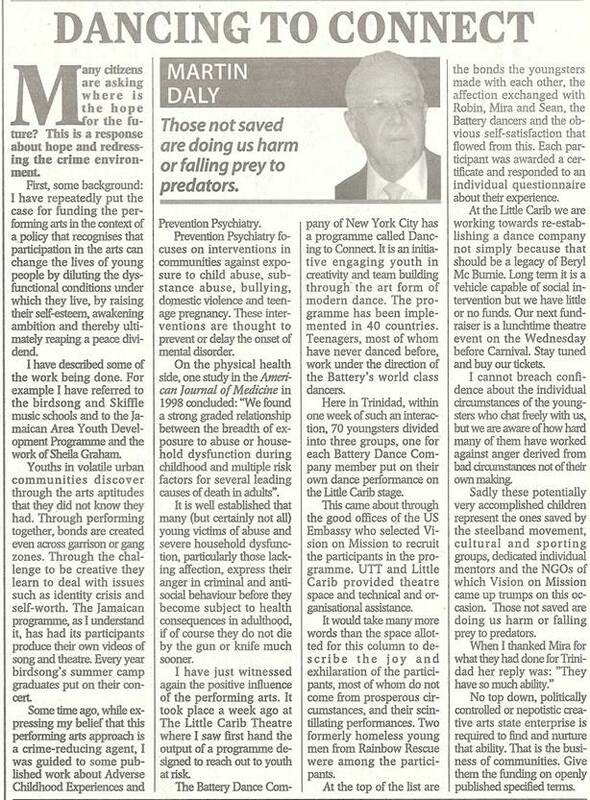 Peter McKittrick, Public Four workshops of 20+ hours each were conducted with students from a variety of schools around Belfast. 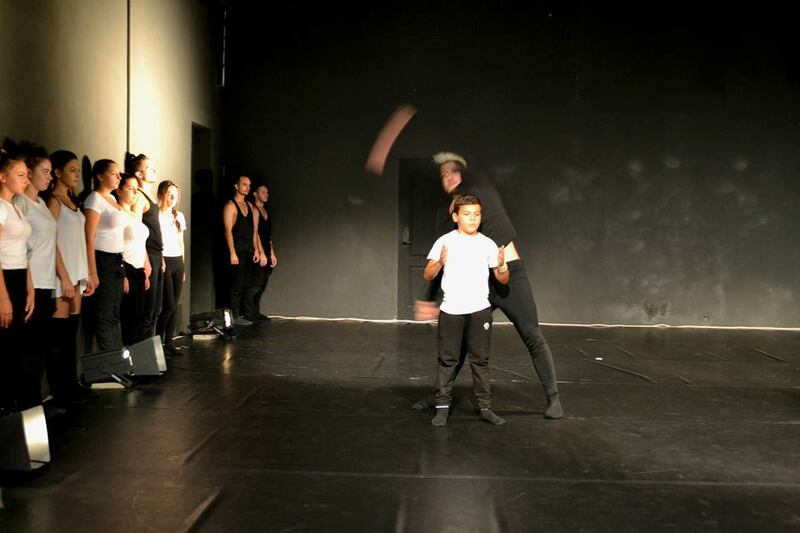 Each day the students generated dance material of their own, guided by the BDC Teaching Artists and assisted by local trainees. An additional day of workshops was coordinated for two groups by Public Affairs Specialist Peter McKittrick, allowing participants to further refine their choreography. 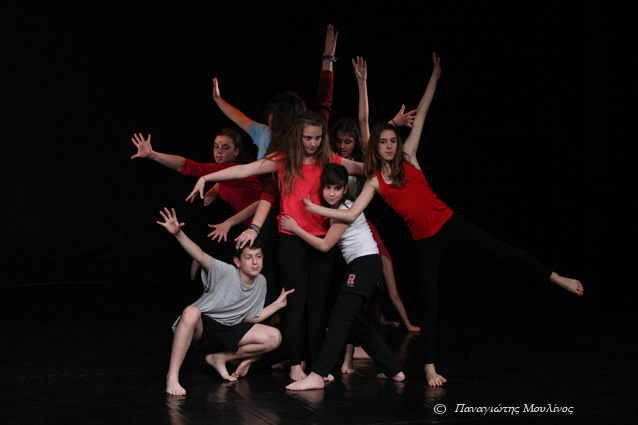 Choreography was assembly and eventually resulted in finished works of 8 – 10 minutes in length. 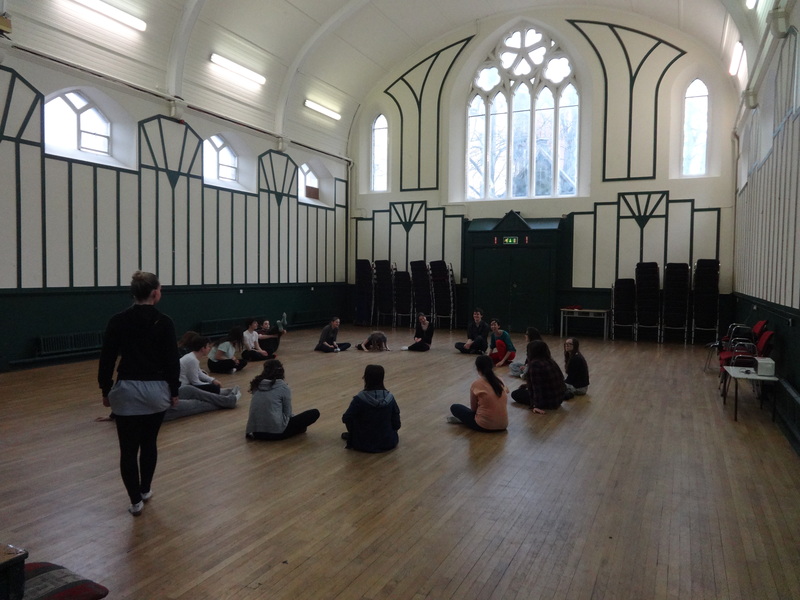 Four workshops of 20+ hours each were conducted with students from a variety of schools around Belfast. Each day the students generated dance material of their own, guided by the BDC Teaching Artists and assisted by local trainees. An additional day of workshops was coordinated for two groups by Public Affairs Specialist Peter McKittrick, allowing participants to further refine their choreography. 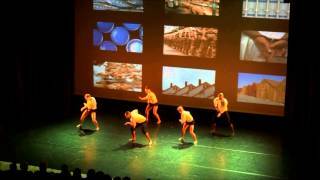 Choreography was assembly and eventually resulted in finished works of 8 – 10 minutes in length. A final performance was staged at the prestigious Waterfront, a new and popular theater complex located on the River Lagan, near the City Center. U.S. Consul General Gregory S. Burton attended with his wife and gave opening remarks. 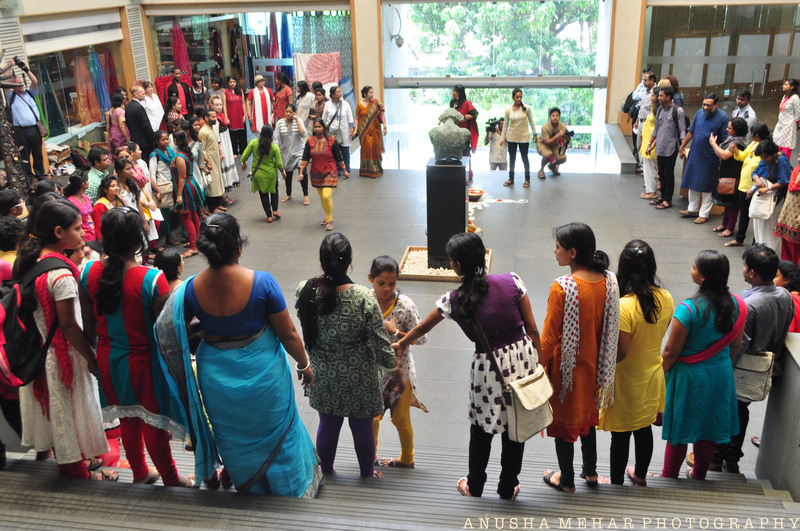 The performance was a standing-room-only event. 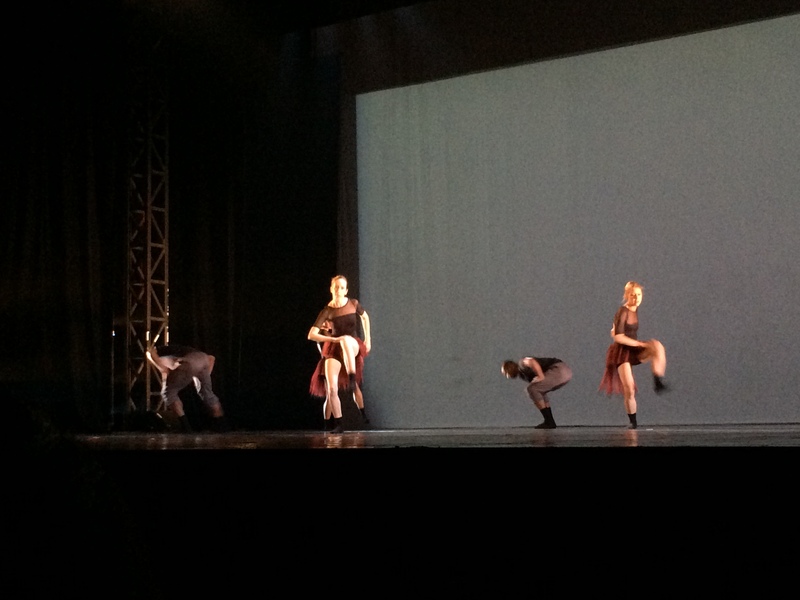 Battery Dance Company performed three works from its repertoire and the 4 student groups presented their completed choreographies, with custom made projections that incorporated the natural and historical scenery from Belfast and Northern Ireland. The production received numerous curtain calls from an enthusiastic public audience that gave a standing ovation. 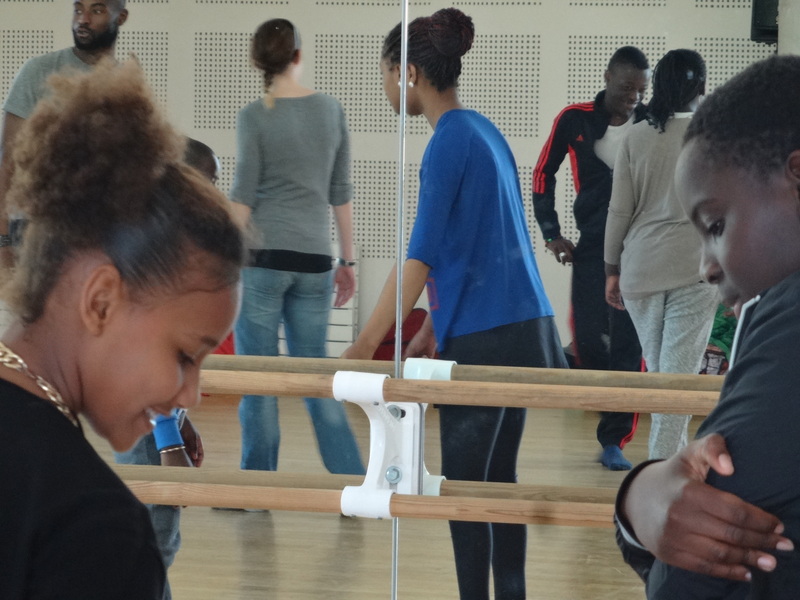 Battery Dance Company returns to France after the success of its Dancing to Connect program in Maubeuge, 2013, to conduct workshops and a performance in Trappes. 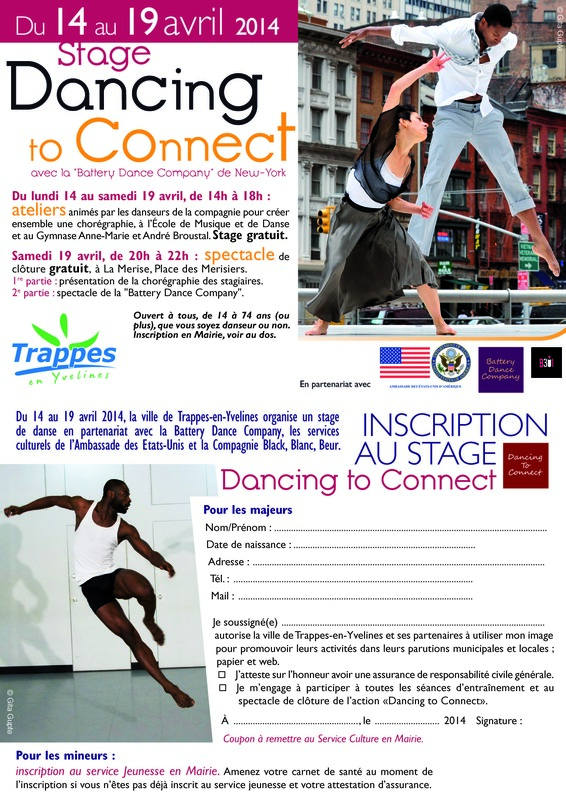 Fresh from the experience of conducting Dancing to Connect in the Nord Pas de Calais towns around Maubeuge in 2013, arrangements were made by the US Embassy in Paris for Battery Dance Company to have a follow-up program the next year in Trappes en Yvelines in the Île de France region. Trappes has a certain notoriety in France due to the manifestations that occurred there in years past between the immigrant population and the police; but is also known as the home of the popular comedian Jamel Debbouze. The target group was to be composed of teenagers and young adults with an emphasis on the immigrant population. Discussions also included the possibility of involving a group of senior citizens, either in their own group, or mixed in with teens in a multi-generational approach. Various departments of the City Government of Trappes were called into play and initially it seemed as if we would have a diverse group with a full complement of participants including a small group of adults and senior citizens. 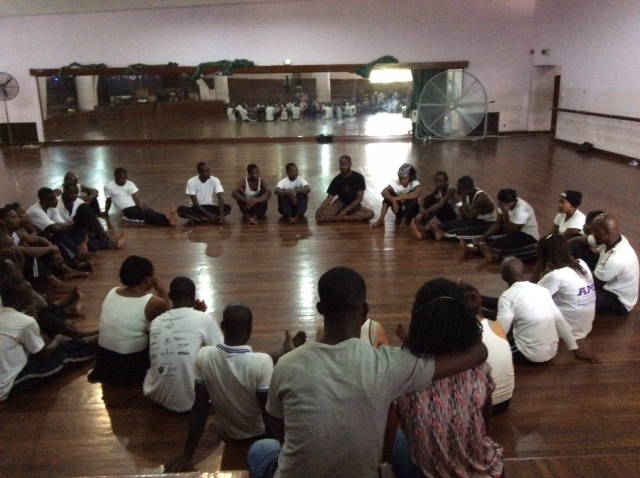 Likewise, we were to have participants and trainers from the local, very renowned hip-hop group, Black Blanc Beur. In reality, the 3Bs were uninvolved with the exception of one very talented and motivated young man, Youss, who was a valuable contributor to the program. Likewise only 1 senior, 2 adult moms and 1 young adult male social worker joined with the 40 teen participants. There was a notable reluctance to participate among many of the teens who appeared to be in vacation mode and uninterested in exerting themselves; and drop-outs were aplenty. From the plan of having 5 separate groups, it was decided to consolidate 4 of the groups into 2, with Robin and Mira forming one team; Carmen and Sean forming another; and Clement maintaining his own group. 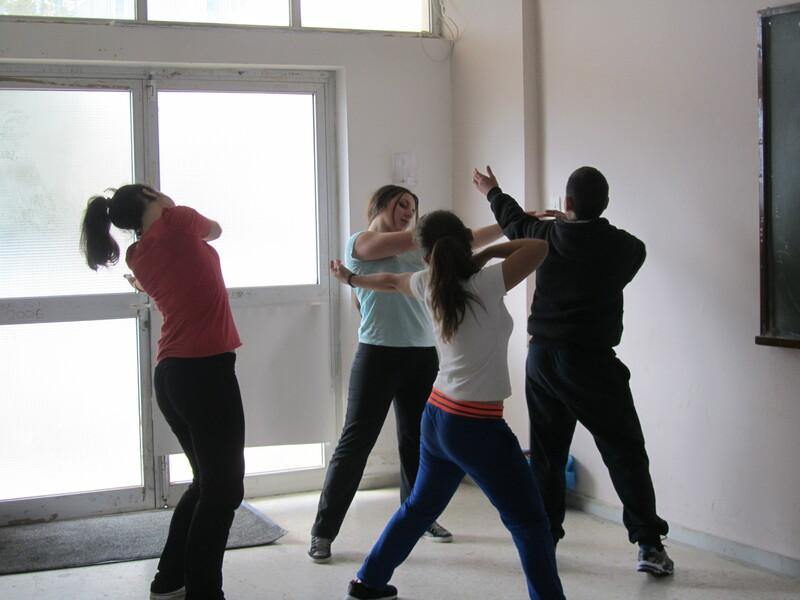 Choreography was assembled and eventually resulted in finished works of 8 – 10 minutes in length. 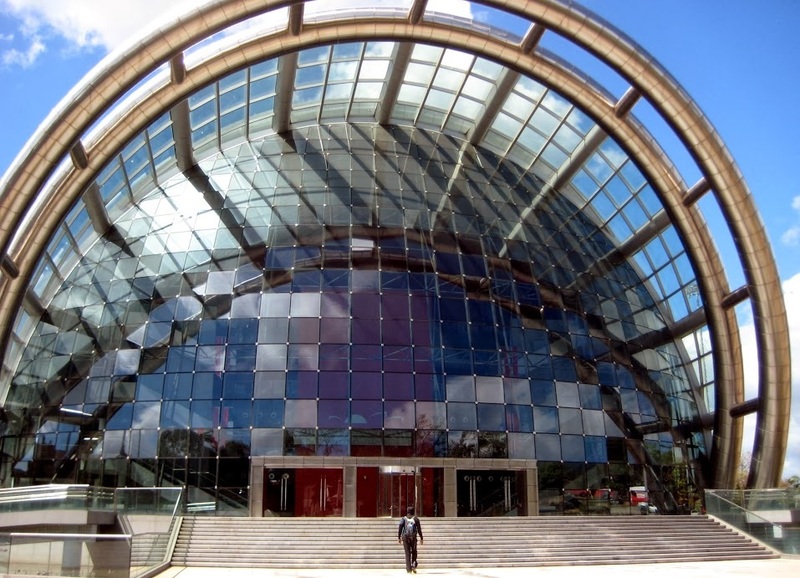 A final performance was staged at La Merise, a theater located in the center of Trappes. Benoît Hamon, then Minister of Education, attended the performance with a full complement of officers from the US Embassy Paris including Phil Breeden, Minister Counselor for Public Affairs and his wife Laurence; Cultural Affairs Officer Jennifer Rasamimanana who addressed the audience at the beginning of the show, alongside Deputy Mayor Phil Gueroult. The performance was a standing-room-only event. 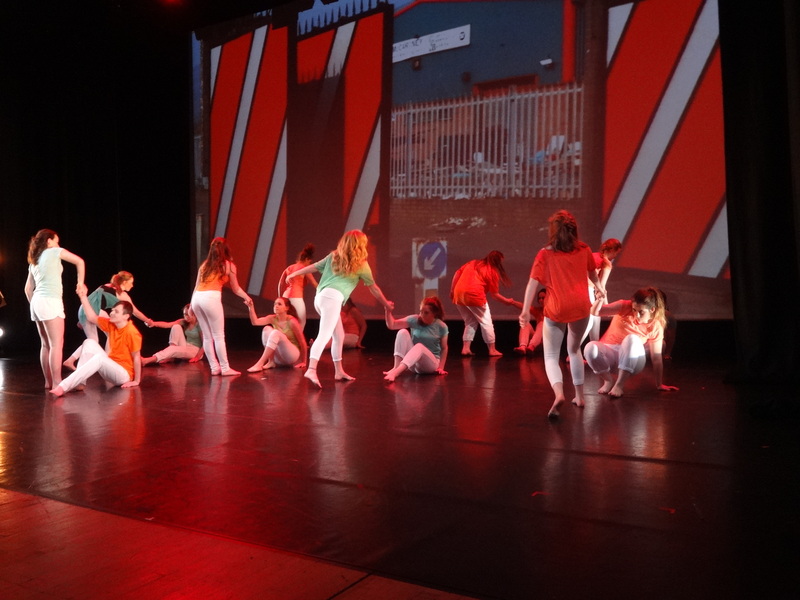 Battery Dance Company performed three works from its repertoire and the 4 student groups presented their completed choreographies, with custom made projections that incorporated the natural and historical scenery from Belfast and Northern Ireland. The production received numerous curtain calls from an enthusiastic public audience that gave a standing ovation. Jonathan Hollander will be the featured speaker on The Arts Arena series. 1 speaker program -- Hollander discusses the company he founded, show and comment on videos of its performances, and look at the role of the arts in community outreach and international cultural diplomacy. 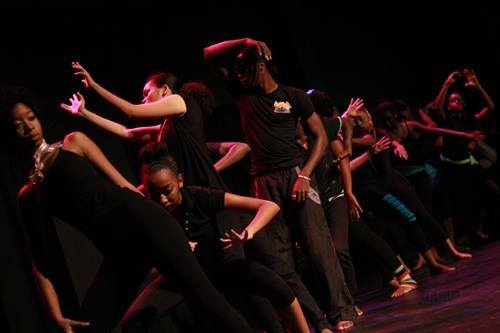 Battery Dance Company played an active role in a conference organized by EmancipAction and Ananta Aspen Centre focusing attention on the scourge of human trafficking and gender violence. 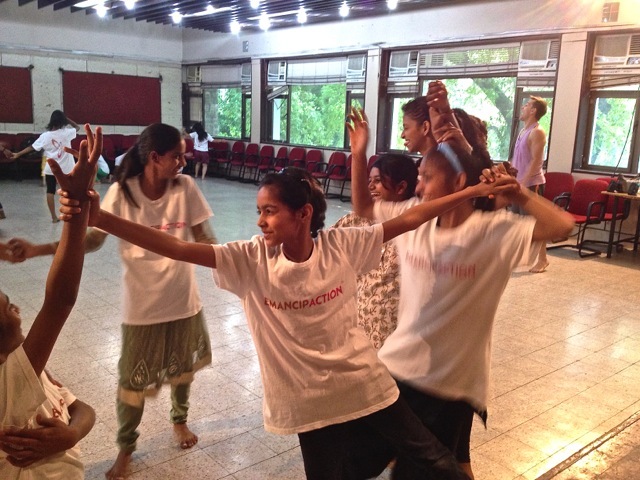 Through Dancing to Connect workshops with young survivors, teaching training of dance movement therapists from New Delhi, Kolkata and Mumbai, and a performance at the K.K. 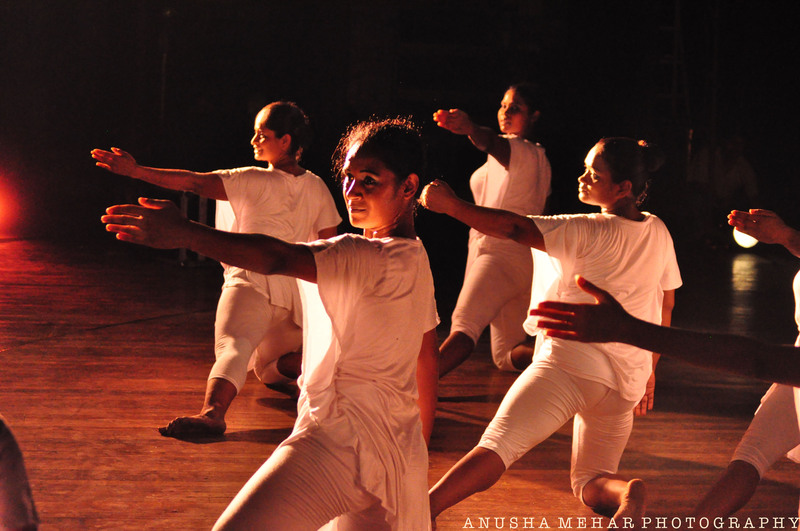 Birla Auditorium, Battery Dance shared the process and product of its youth outreach programs with hundreds of young leaders and stake-holders who share its mission. 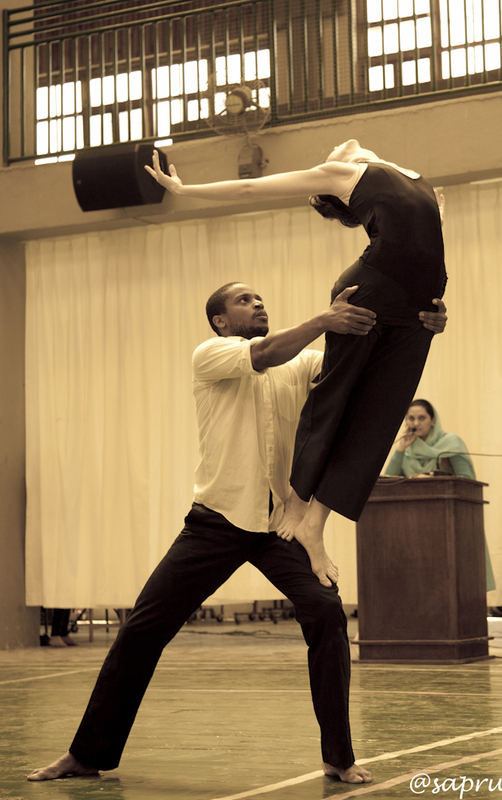 Two Battery Dance Company teaching artists, Robin Cantrell & Sean Scantlebury, conducted Dancing to Connect workshops with 40 students from Delhi Public School in Srinagar, India, a region plagued by constant strife. 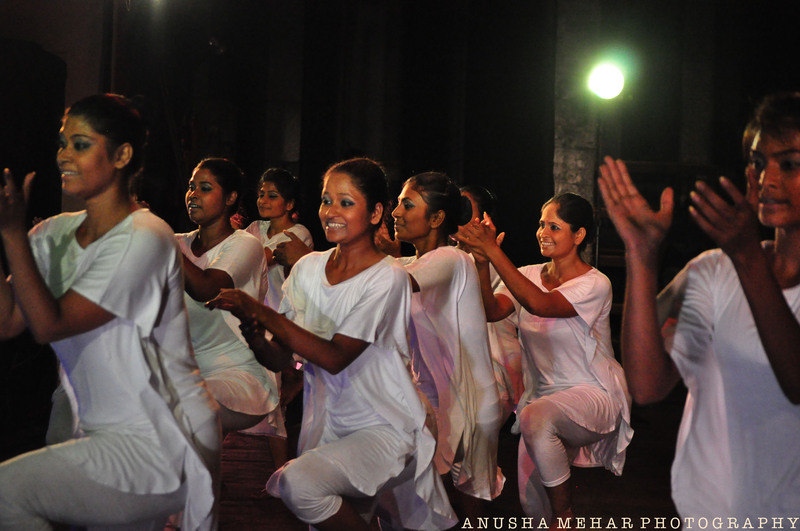 Battery Dance Company is honored to join in the 10th Anniversary celebrations for a ground-breaking institution -- Kolkata Sanved, founded by Sohini Chakravorty. 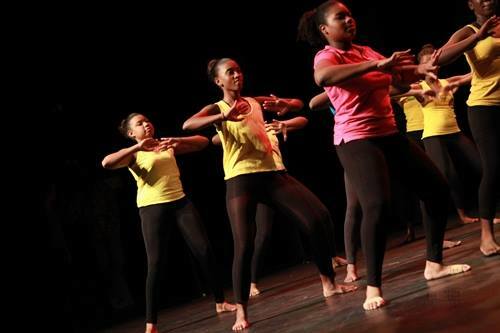 Battery Dance Company (BDC) was awarded via RFP from the U.S. Embassy Port of Spain to conduct the 1st Dancing to Connect program in Trinidad and Tobago. The 1-week tour was characterized by a two-pronged approach with a high visibility marquee performance coupled with outreach programs targeting undeserved and stigmatized youth. 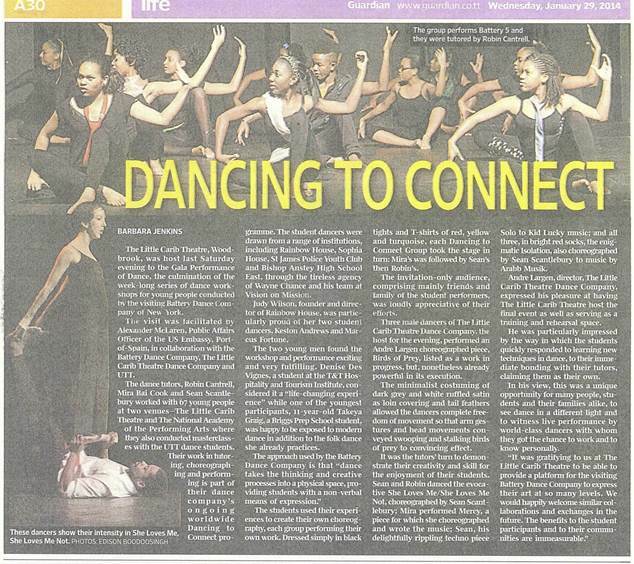 The Guardian: "Dancing to Connect"
Trinidad Express: "Dancing to Connect"
Trinidad is laid back and generally tardy. The people are friendly, but slow to get motivated. Personal relationships are valued and visiting and talking is necessary before negotiating business. People talk a lot, animatedly, constantly, loudly, and colorfully. 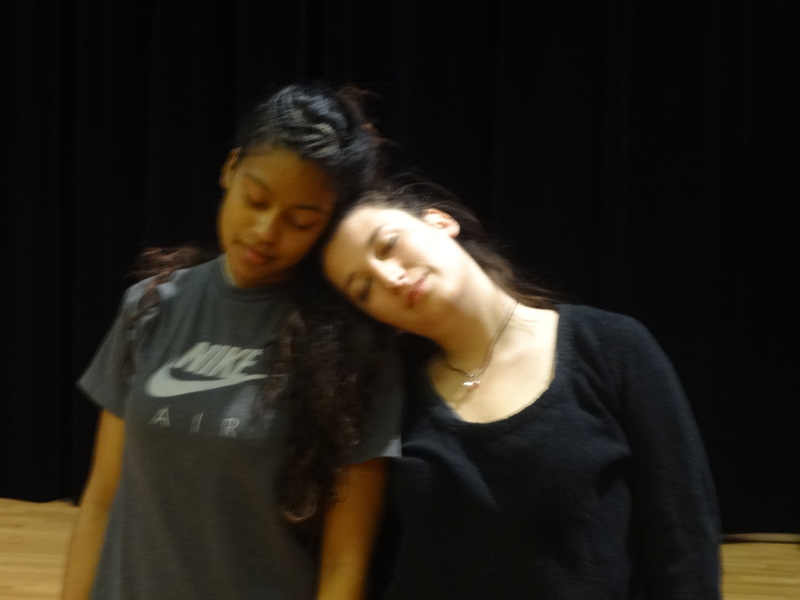 Complications arose at the stage rehearsal and final performance. There was a real lack of communication. In fact, another show had been scheduled for the same time as ours!! 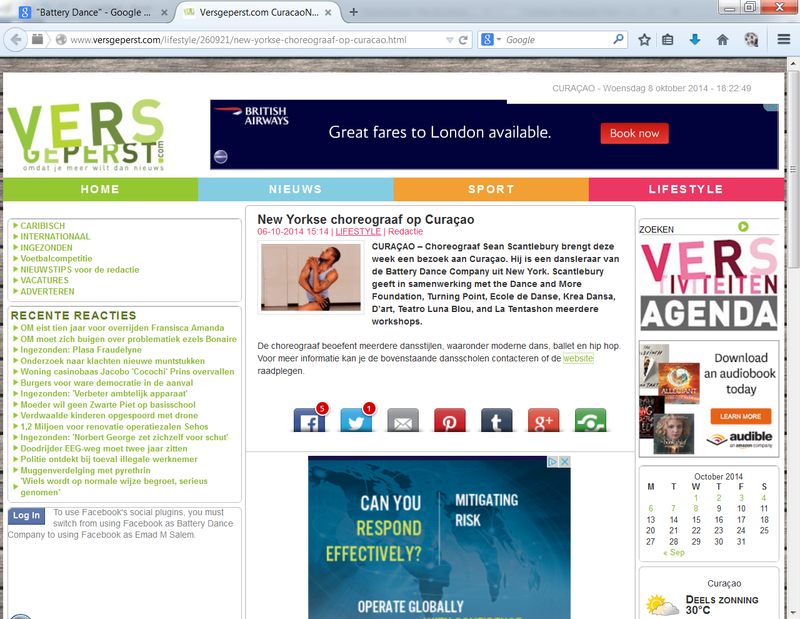 It was unclear about what is needed for a live dance performance. There was no stage manager or any tech workers and therefore, no one to “call” the show or communicate with the lighting designer and sound person from backstage. 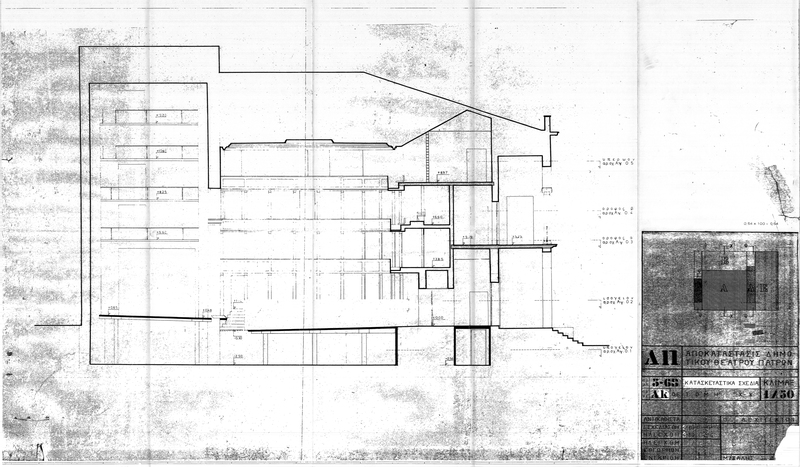 Fortunately, all involved were very pleased with the final outcome, only we knew how it could have been better. 1 Dancing to Connect workshop with Consortium of Disabilities students. 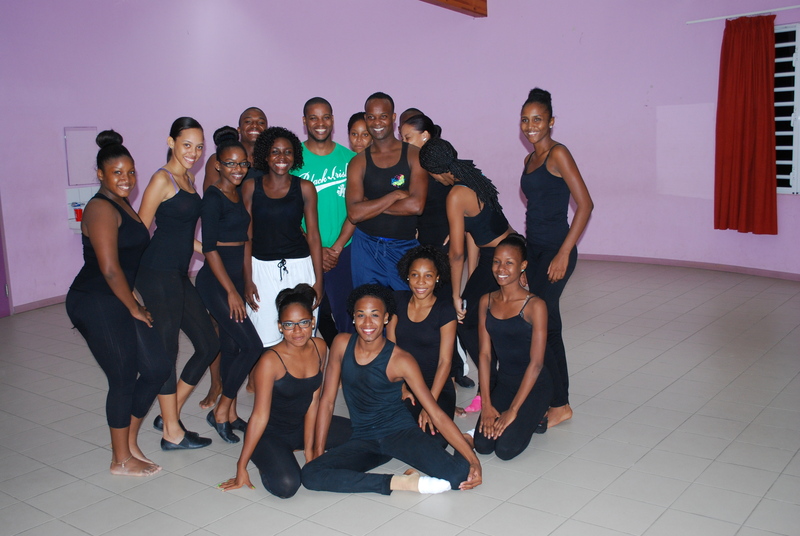 3 Master class with Little Carib Theatre dancers and the University of Trinidad and Tobago. 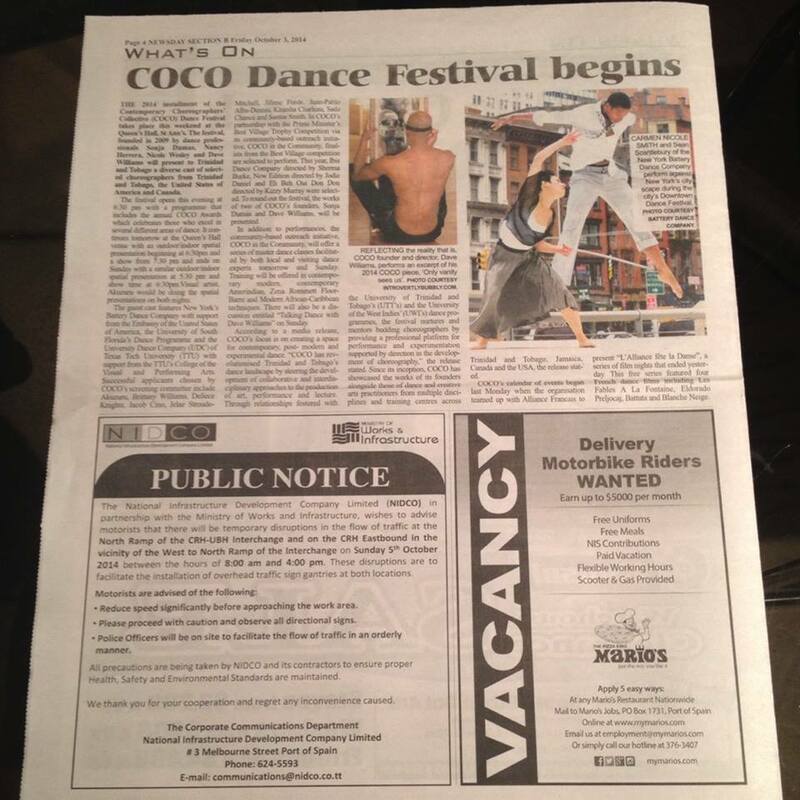 Battery Dance Company performances Friday, Saturday, and Sunday with COCO Dance Festival at Queens Hall. 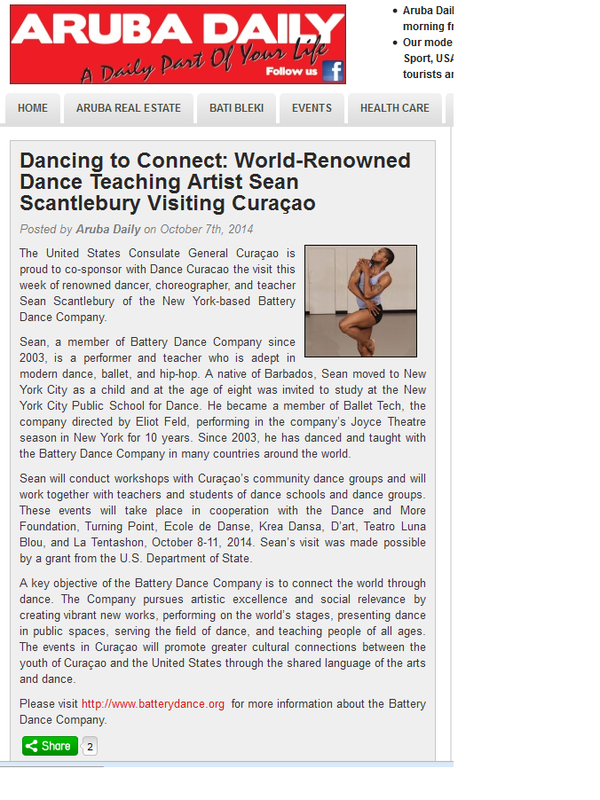 Company member Sean Scantlebury led multiple Dancing to Connect workshops. 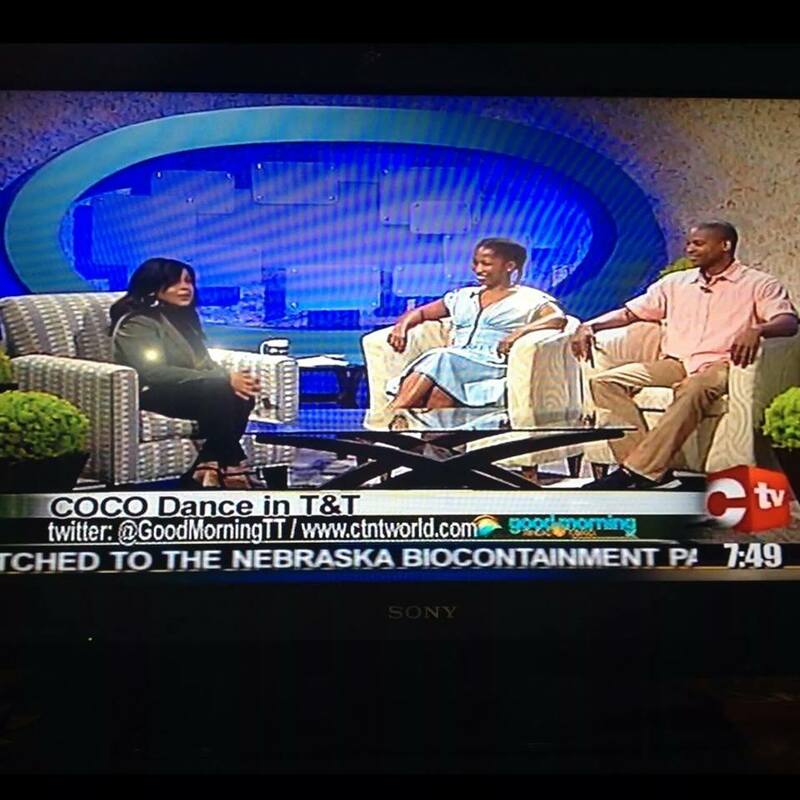 TV interview at No Pais tv. 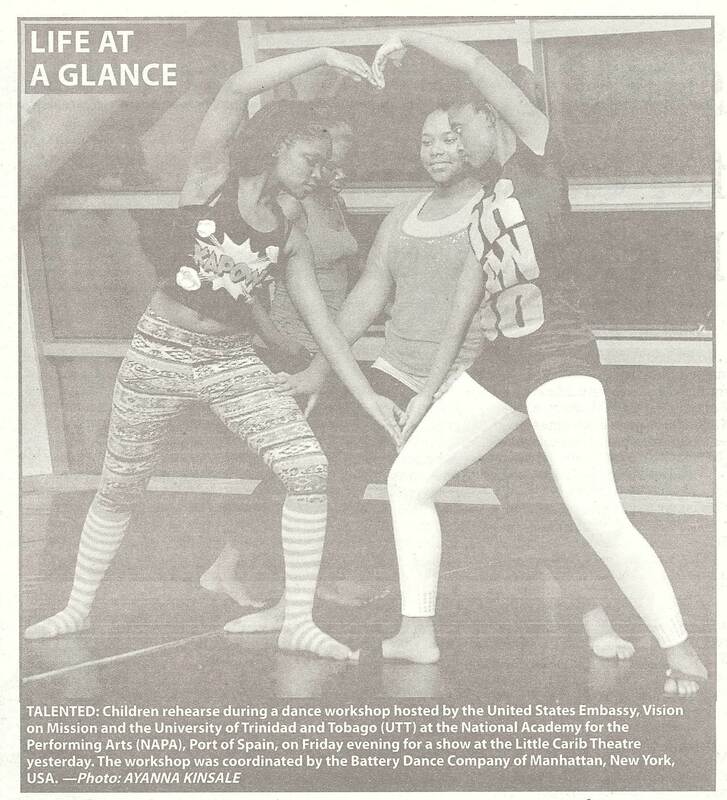 For the six days that I was in Curacao, I had a jam-packed schedule that included modern dance workshops, dialogues and coachings with local dancers, workshops with community groups and, most surprisingly, full press coverage from the moment I arrived until I departed. The short six-day program ended with a performance in which the local dancers brought out their best works and I also performed. It was a true sharing experience and very warm relationships were engendered. 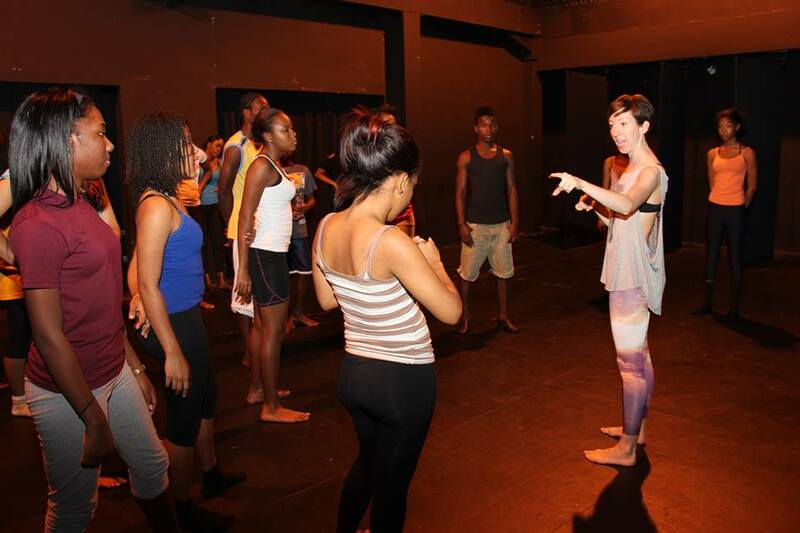 I taught modern dance workshops at 3 different schools: Fina Dance School, Turning Point, and Ecole de Danse; and engaged in dialogues and workshops with 2 community-based dance groups. 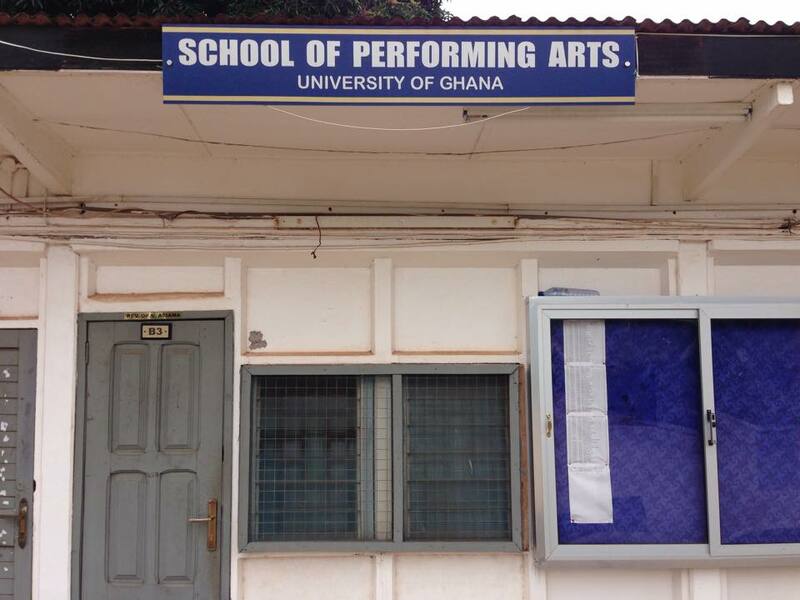 All of the workshops were held on the premises of the different schools. 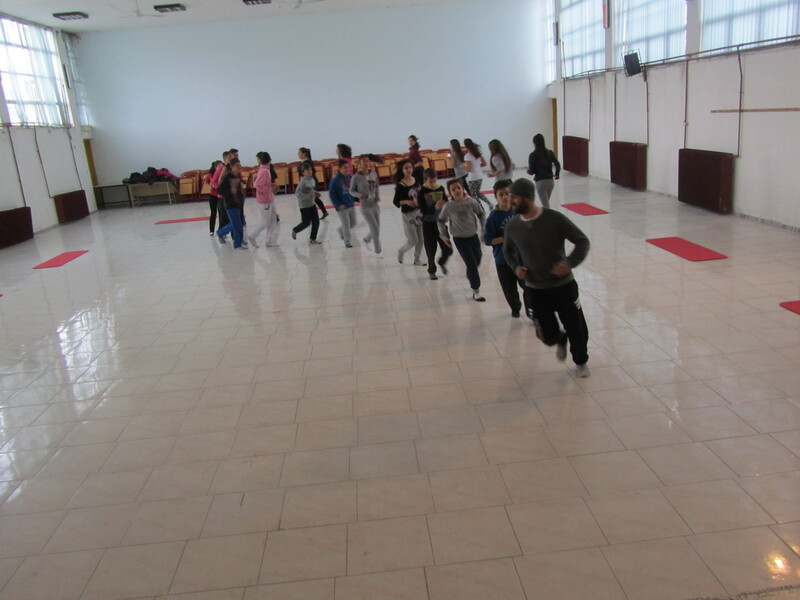 Each group had about 15-20 talented students who were eager to learn something new. Problems were nowhere to be found. Everything was great with the transportation getting to and from the schools. I had a lot of fun. Although it was tiring, I would do it all over again without hesitation. I credit Jim Moore with the idea of bringing me here; and for creating a wonderful program and seeing to it personally that I was taken care of throughout. At the final performance I think there were about 100 audience members consisting of friends, family members, faculty and students. It was a very nice show combining different schools who are always fighting and competing with each other under one roof for dance. This is why this program is so successful all over the world. It brings people who would never dream about dancing together in one place. 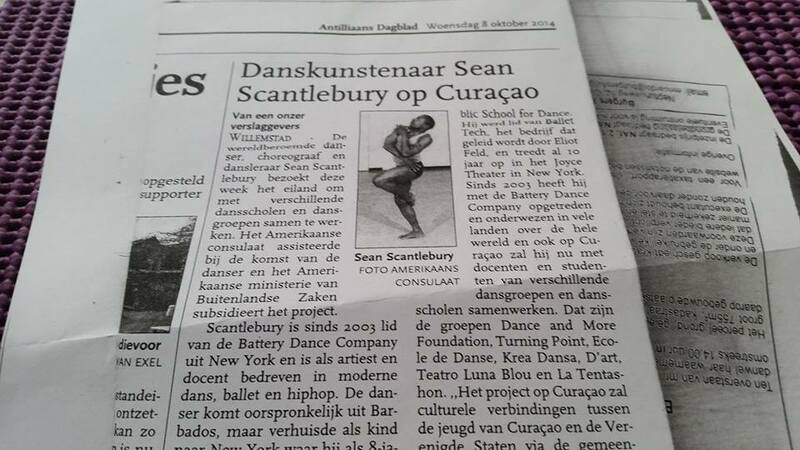 My goal for the future is to bring Battery Dance Company to the Dutch Caribbean and to branch off to the other surrounding islands in 2016. Dancing to Connect students with Sean. 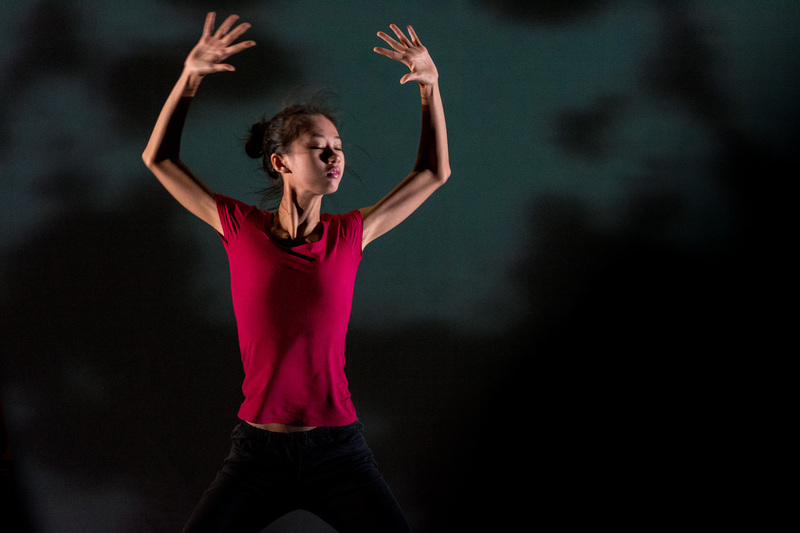 Battery Dance Company (BDC) was awarded a grant via RFP from the U.S. Embassy Beijing to conduct the first full company Dancing to Connect program in China. The 1-week tour in Guangzhou was characterized by a two-pronged approach with highly attended marquee performances coupled with outreach programs targeting undeserved youth and older community members. 5 Dancing to Connect workshops with approximately 95 participants. Over the course of 5 days, 105 students and adult community members came together in the workshops for approximately 4 hours each day. In each workshop group, 1 translator, 1 teacher trainee, and 1 group coordinator ensured that activities ran seamlessly. The highly organized program was matched by highly focused and dedicated participants. Many of the workshop host institutions taped the workshop activities, with the Lie De Community Center recording the entire process from start to finish. 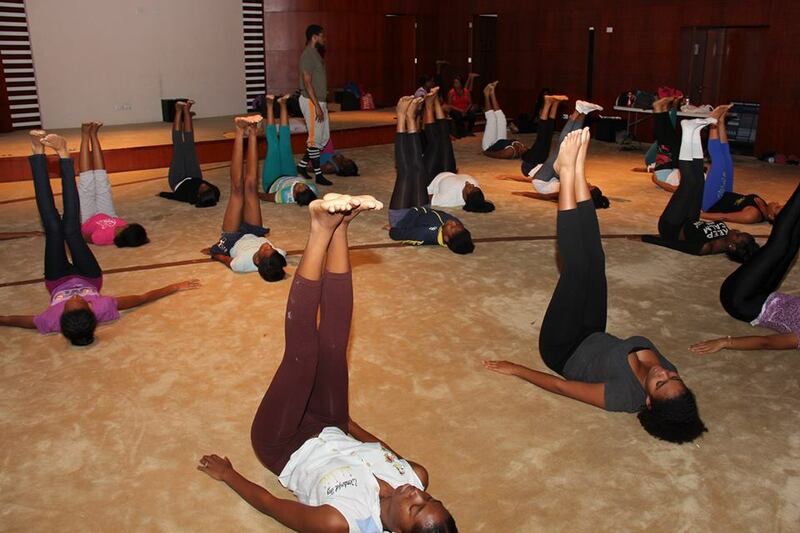 A common perspective among workshop participants was that the workshops made them feel “free”. All of the workshops, workshop venues, transportation, student snacks, and translation needs were arranged by a local organizer. Performance venues, technical equipment, and technical staff were provided by the Guangdong Dance Festival. 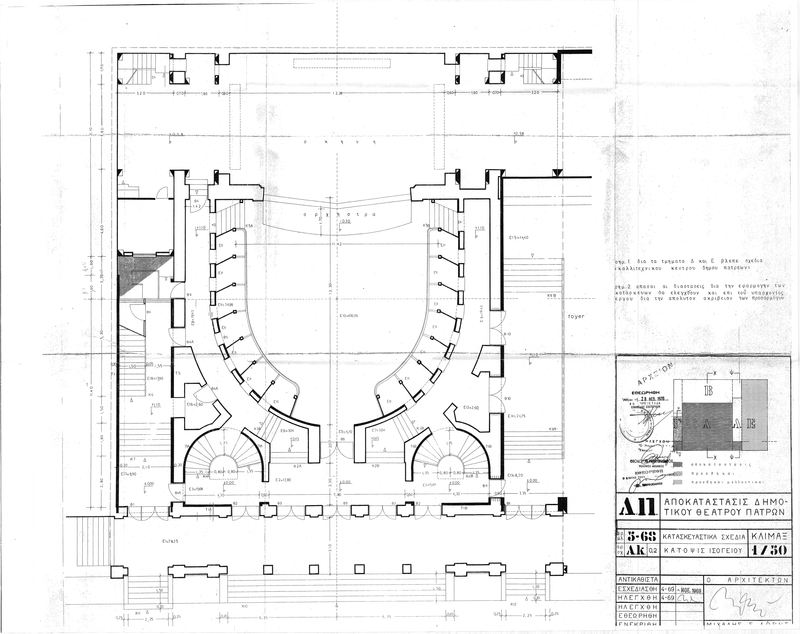 The program was planned in detail and was implemented meticulously, with little facilitative support required from the U.S. Consulate or the U.S. Embassy. 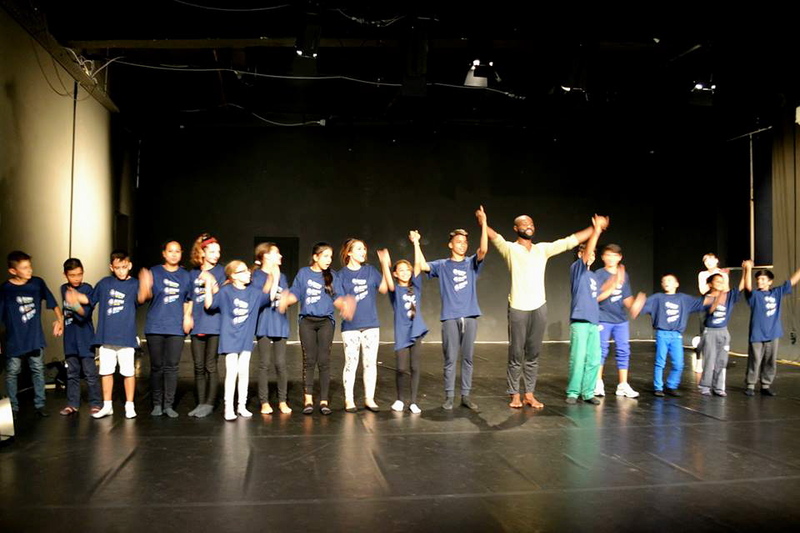 By relying on local partners for coordination, Battery Dance Company was able to achieve every element in its goals and objectives, plus additional activities that were previously unplanned, without impediments or interference from local authorities. Battery Dance Company first performed outdoors on Wednesday, November 12th, at the Xhinghai Garden to an enthusiastic audience of 150. Local festival organizers provided a backdrop and high quality projector specifically for Battery Dance Company’s performance. The company performed a number of pieces from its repertoire, including one that included socio-political imagery, and one that included the use of traditional Chinese incense. 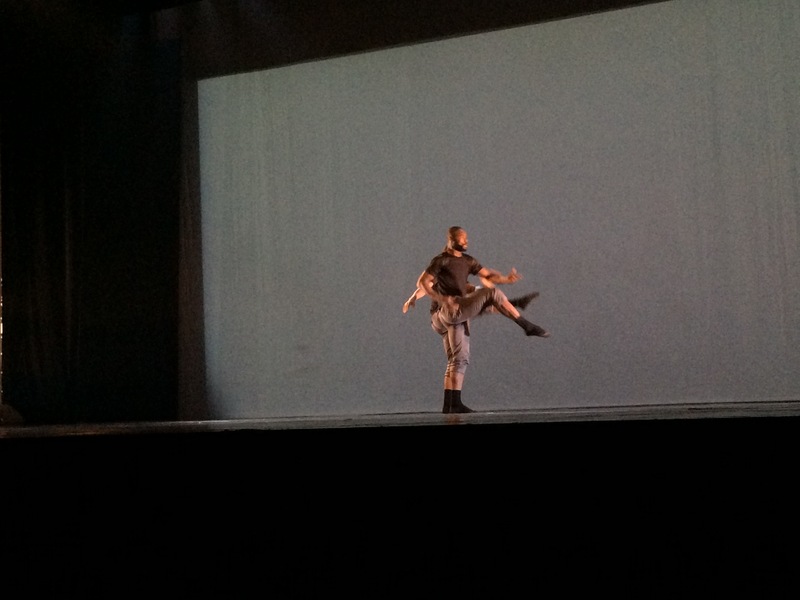 The performance was well received with the highest approval given to a work that incorporated live music (performed by the dancers and composed by the dancer/choreographer.) After the performance a number of audience members asked how they could purchase CD’s of the music. 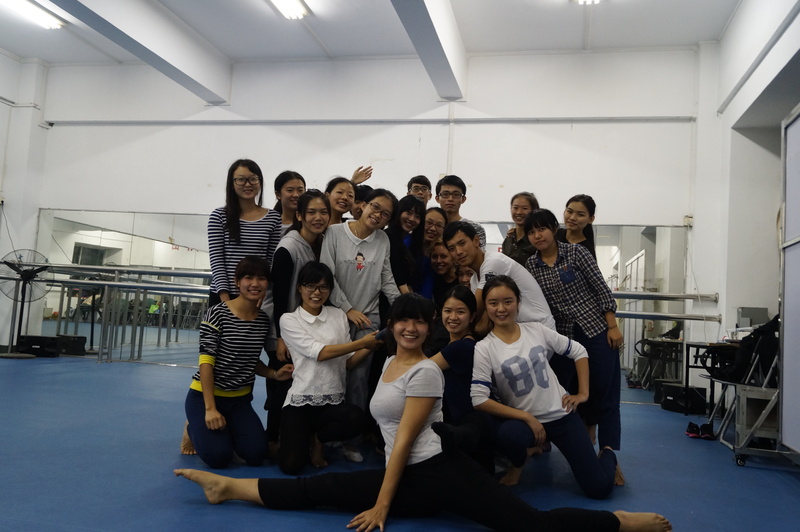 Local festival organizers indicated that this was the first time an American dance company had performed outdoors in Guangzhou. The Dancing to Connect final performance took place on November 14th at the Guangdong Song and Dance Theatre to an eager audience of 650 that filled the auditorium to capacity. 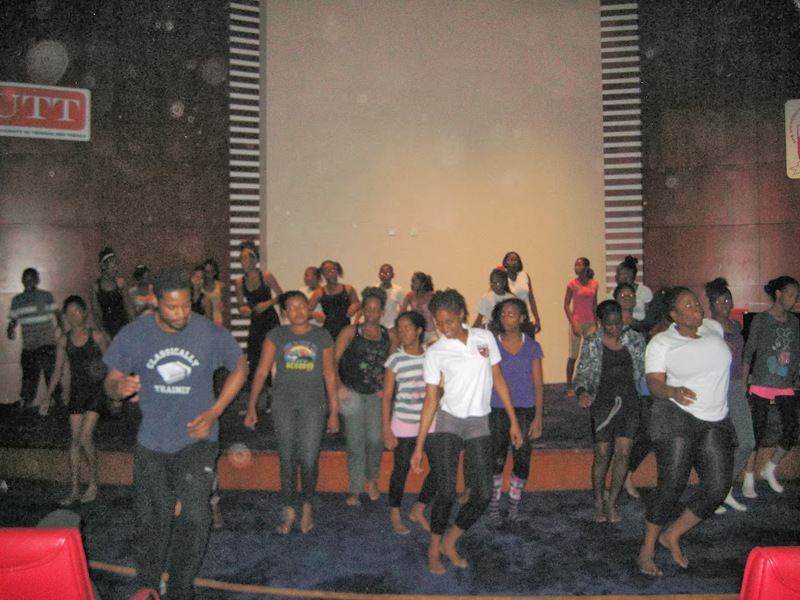 Community members, family, friends and a large contingent from the U.S. Consulate came to support the 95 Dancing to Connect participants as they showcased their original creations. After the performance, participants hugged and kissed the Battery Teaching Artists and posed for group pictures for an extensive amount of time. Audience members also took part, taking group pictures of the dancers with their participants. On November 15th, Battery Dancer Clement Mensah conducted a site specific performance, in collaboration with Xhinghai Conservatory dancers, at the EMG Arts Gallery before an audience of 100. The artwork displayed in the gallery, by a Chinese artist who lived in Brooklyn, examined the intersections of New York and China, and provided for wonderful interaction with the dancers. Throughout the workshop week, BDC members interacted with other visiting dance companies and dance professionals from Asia, Europe, and Australia via Festival networking sessions, social events, and the DanceX Symposium. 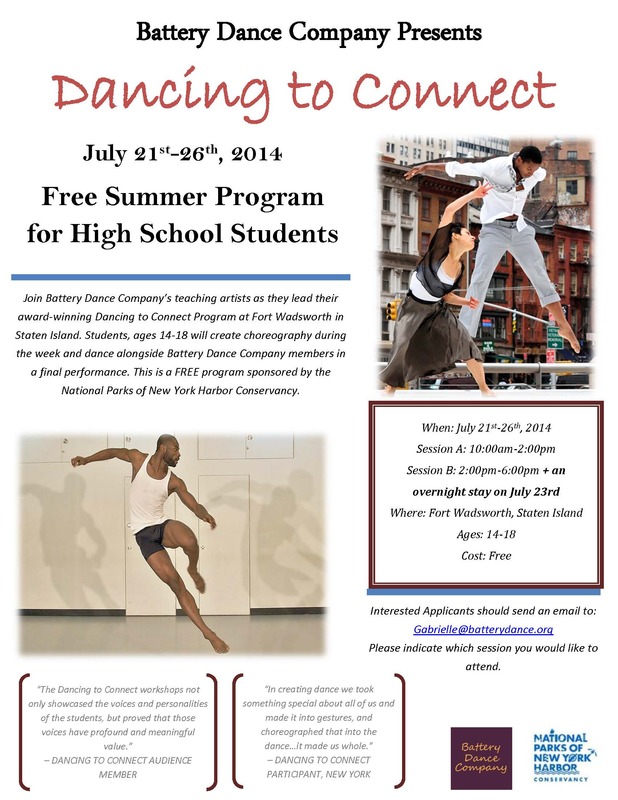 That interaction has led to possible future collaborations for Battery Dance Company’s Downtown Dance Festival and future program partners in a number of countries. 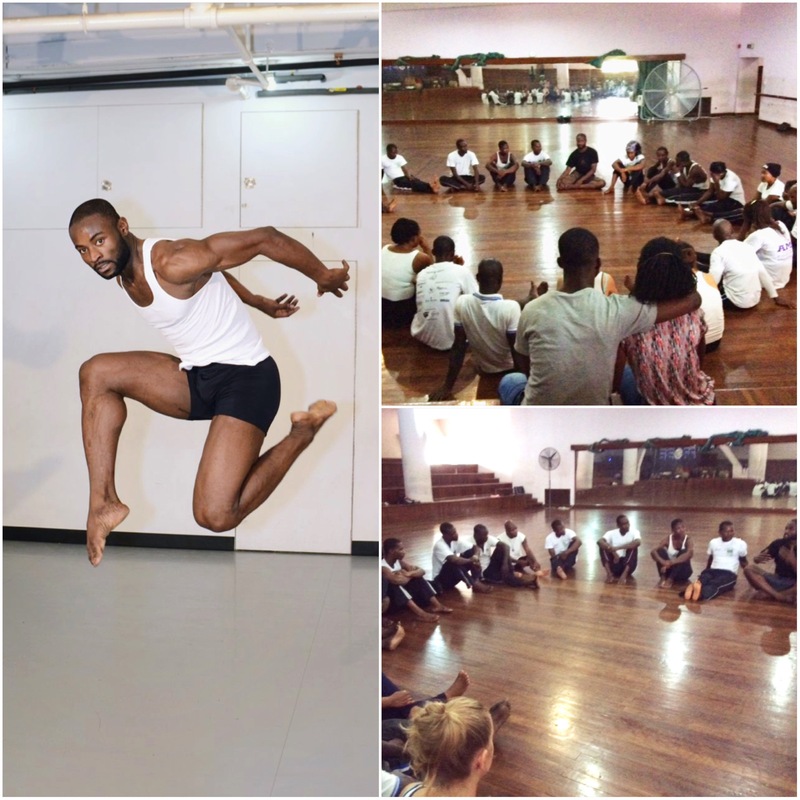 BDC dancer Clement Mensah, taught a master-class for 15 adult dancers. They have indicated their desire to have Clement come back to teach a series of intense classes next time the Company is in China. BDC dancer Robin Cantrell and Vice President Emad Salem visited the Guangzhou Children’s Hospital and interacted with young terminally ill cancer patients. 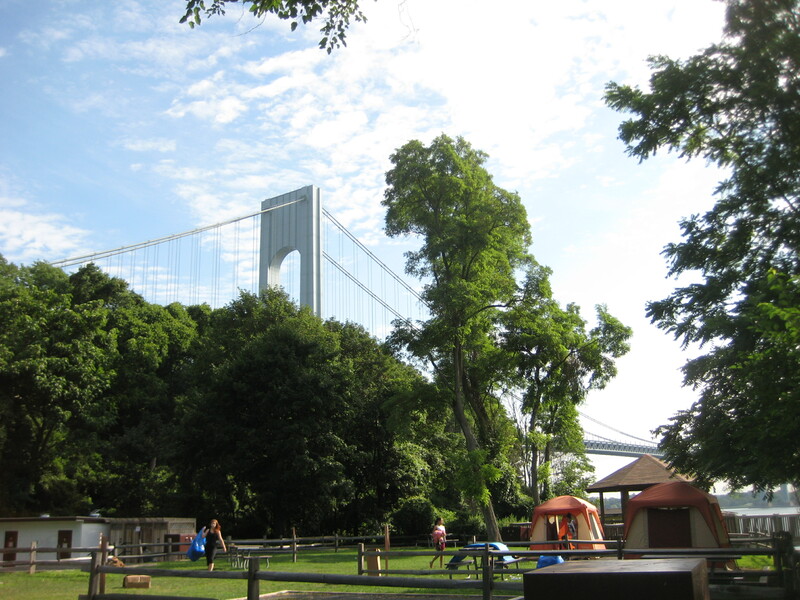 Meeting with children’s’ parents and volunteers, the pair discussed life in New York City. Afterwards, Emad Salem was asked to speak to hospital volunteers on the values of volunteerism, the culture of volunteering in the United States, and to encourage them to continue with their work. A contingent of Battery Dance Company members participated in Tai Chi exercises in a local park, practicing the ancient Chinese art form alongside Chinese locals. 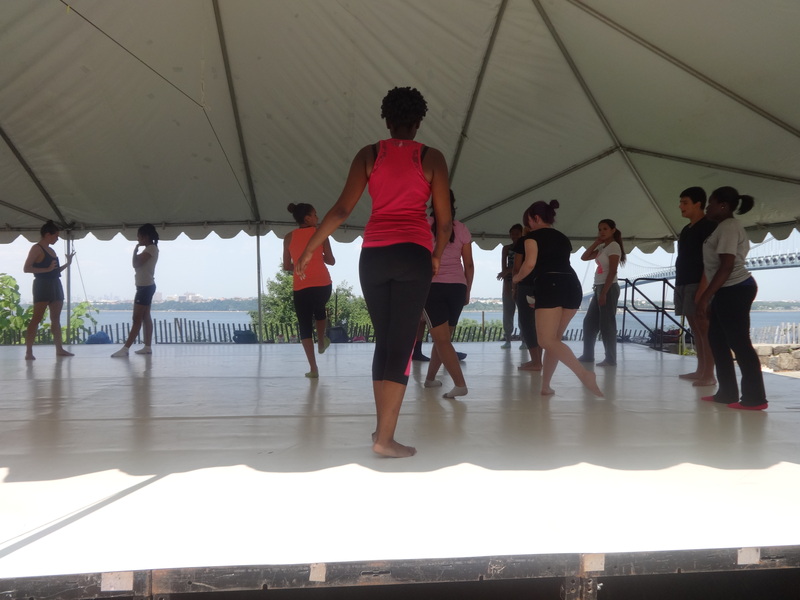 After initially being guided to the location by Janice Englehart, the dancers led a contingent of Festival participants later in the week. 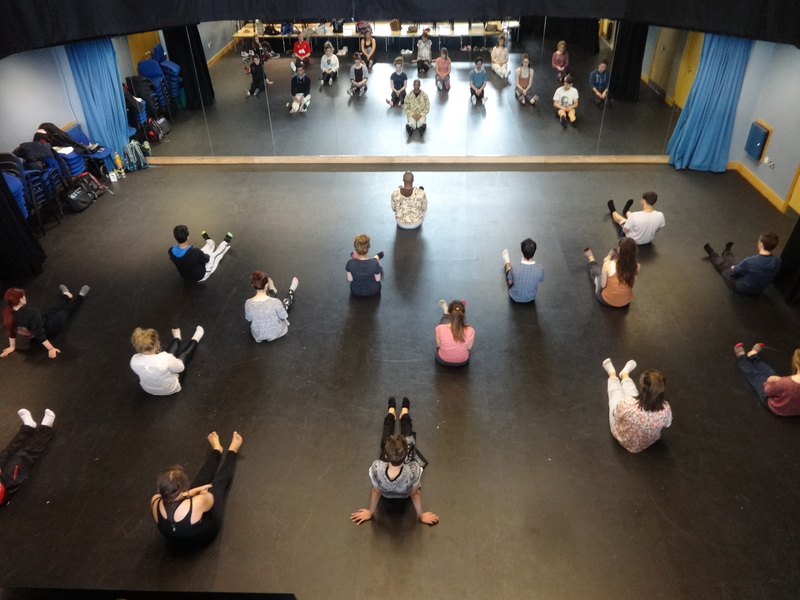 Students participating in a Dancing to Connect workshop. 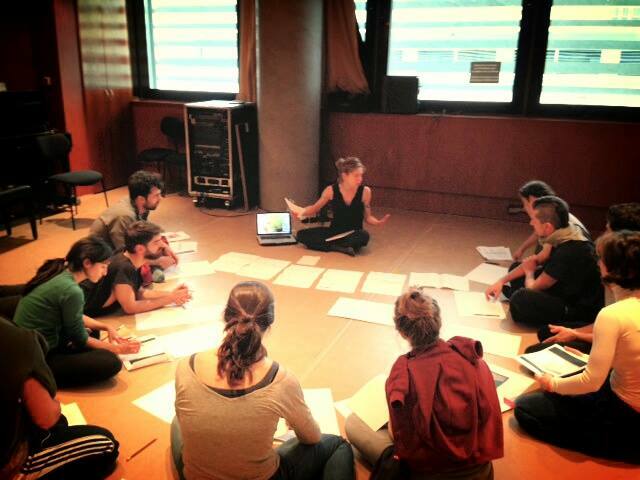 The Cultural Ekotopias,International Contemporary Dance Conference/Festival. Held two performances at the end of the residency.